Sabina Spielrein was born on November 7, in Rostov on Don in Russia, as the eldest daughter of the wealthy Jewish businessman Nikolai Spielrein and his wife Eva. Sister Emilia (Milotschka) was born. Emilia, her beloved little sister, died of typhoid fever. Her parents sent Sabina to Switzerland for therapy of nervous symptoms. After a short stay in the Heller Sanatorium in Interlaken she was transferred to the Burghölzli mental hospital and treated by C.G. Jung with Freud's new method: Psychoanalysis. Jung´s diagnose: hysteria. Sabina was released from the hospital in June and began to study medicine at the University of Zurich. She remained Jung's analysis patient until 1910. Jung and Freud began their mail correspondance about Sabina Spielrein. Sabina obtained her doctorate with her study "Concerning the Psychological Content of a Case of Schizophrenia" that was published as the lead paper in the "Jahrbuch für psychoanalytische und psychopathologische Forschungen ". She moved to Vienna and became a member of Freud's "Vienna Psychoanalytical Society". Her work " Destruction as Cause of Coming into Being" was published in the "Jahrbuch für psychoanalytische und psychopathologische Forschungen". Sabina married the Russian Jewish physician Pawel Scheftel in Rostov. 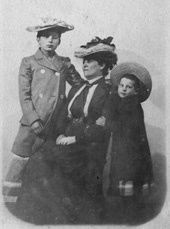 Sabina and Pavel lived in Berlin and their daughter Renata was born. Sabina wrote several papers. 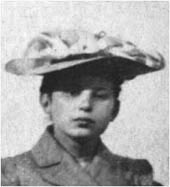 At the begin of World War II, Pawel Scheftel returned to Russia and Sabina moved to Switzerland with the child. Sabina lived with Renata in Lausanne and worked in a surgical clinic. At the 6th International Psychoanalytical Congress in The Hague, she gave a lecture entitled "About the Origin and Development of Articulation". In Geneva she worked at the Jean-Jacques Rousseau Institute on child psychology and published several articles. Among her analysands was the young Jean Piaget. Sabina Spielrein returned to Russia and worked in Moscow at the 'Russian Psychoanalytical Institute, the 'Psychoanalytical Home for Children' and at the 'Department of Child Psychology' at the 'First University of Moscow'. After Stalins reprisals against Psychoanalytical Institutions she moved to Rostov, her hometown and reunited with her husband. Birth of her secound daughter Eva. Psychoanalysis was prohibited by Stalin. Her husband died of heart failure. her father died of grief. In August, Sabina and her two daughters were executed by the Nazis outside of Rostov, together with many other Jews.